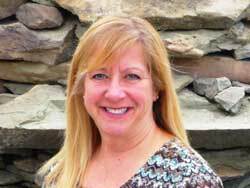 My name is Jill Mulhern and I started with Real Estate Rocks in March 2012. My career life started with mortgage lending, then working for a real estate appraisal firm. It was a natural progression to helping people buy and sell homes. I have lived in Pembroke with my husband since 1998 and we have three sons. We are both active in the community, mostly with the schools and sports. We love the small town feel of Pembroke, and enjoy all of the amenities. Kathleen and I work as a team and we truly compliment each other! You really get two agents in one! Working mostly as Kathleen’s assistant allows Kathleen to be available more readily to you, her client. Together we provide you with the best possible customer service! Because, in the end that’s all that matters. I can’t convince you to buy a house you don’t want or sell your home when you don’t want to. It’s all about the customer service and I hope you find that all of us at Real Estate Rocks are there for you, when you need us!